My Newest Hybrid 3D Maze Puzzle Test! 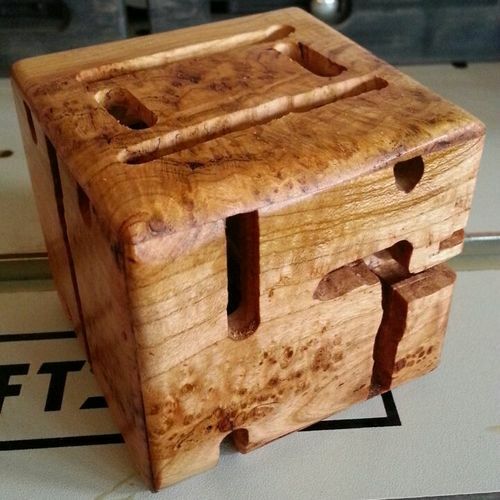 Cherry Burl Hybrid Maze Puzzle. This was my latest test to completed my Hybrid Maze concept. Definitely a success, but I will stick with the table router until a get a real milling machine. Very interesting! Great looking wood. Creativity is second to none.